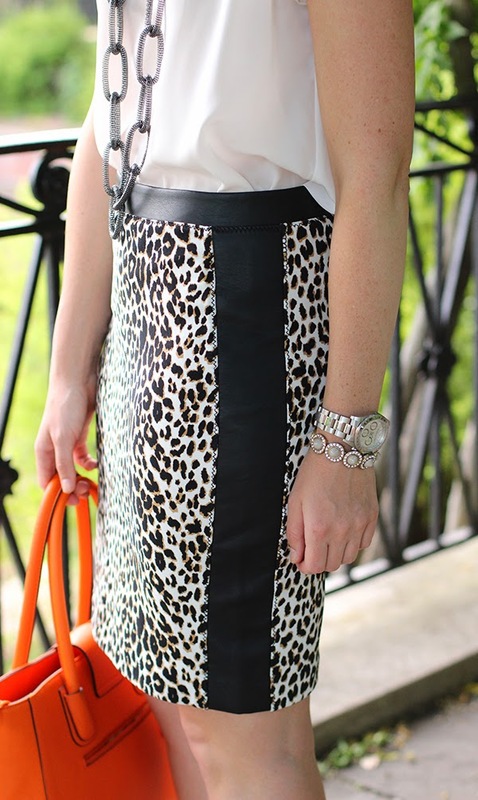 I've been on the hunt for the right leopard pencil skirt for quite some time now. 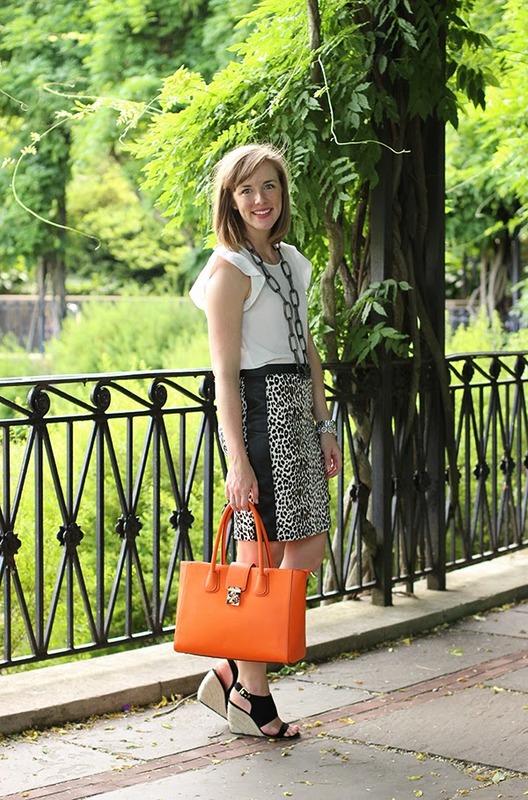 Leopard is really one of those touchy prints that can either be really great or really bad (and I'm definitely one to get SUPER picky when it comes to prints so you can imagine how much more difficult tracking down the right one was for me). Leave it to Club Monaco to have the perfect print that is great for summer and will go great with darker colors come winter! Oh and right now it's an extra 50% off - what are you waiting for? What a cute skirt! 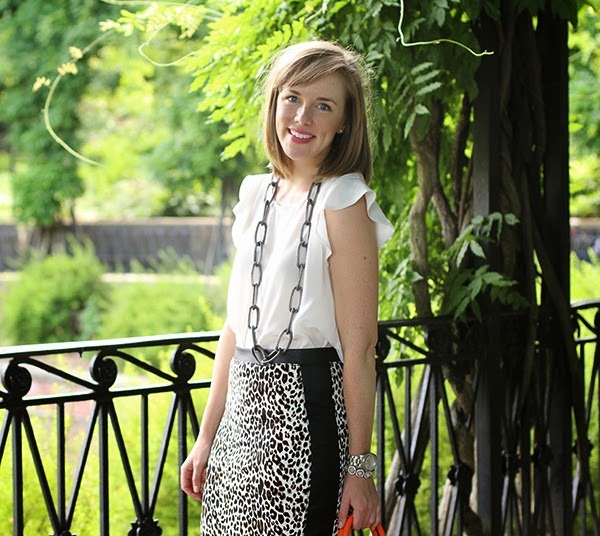 I love that it is work appropriate but could also be worn for a date night. And that blouse is fab!